Headsail is on electric furler. 12 volt, 6 batteries charged by: engine, solar panels, shore power, generator 4 House batteries, 1 x Engine start & 1 x emergency radio battery. 2 x Gasoline tanks for outboard and crash pump, 80 l total. 240 v domestic AC for use on shore power. 3 x 12V bilge pumps, 1 x 240V, and a crash pump powered by a 2 stroke petrol engine that doubles as a fire pump. 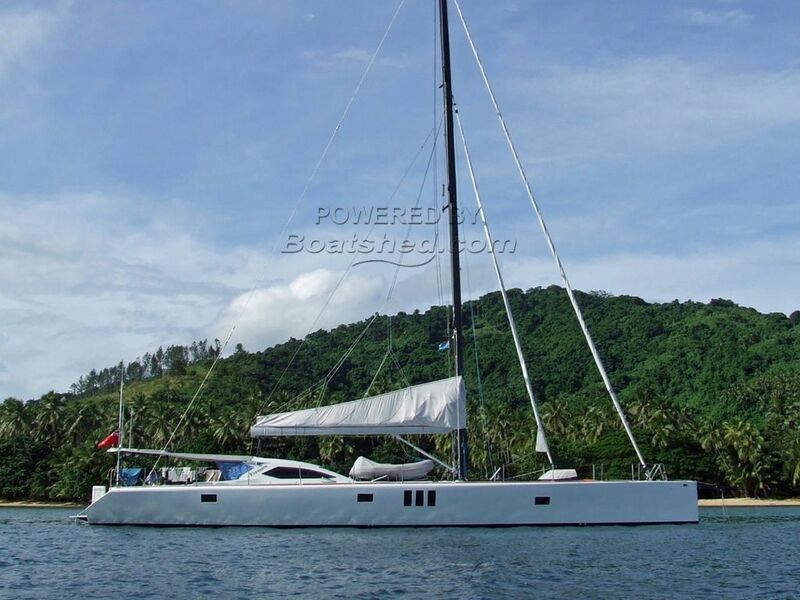 Designed as a very quick, short handed sailing yacht and built in Carbon fiber, Divinycell, and Kevlar by New Zealand craftsmen, she was not completed until purchased by her current owner in 2013, when she was rigged, sailed to Thailand for fitting out and finally commissioned in 2016. She completed her maiden voyage from New Zealand to Fiji in 4 days -18 hours which according to the RNZYS records is the fourth fastest time for a monohull ever, at an average speed of 11.5 knots. The owner a very experienced yachtsman, this is boat number 20 and is only selling as age takes its toll. This Cook 80 Fast Cruiser has been personally photographed and viewed by Alan Giles of Boatshed Phuket. Click here for contact details.